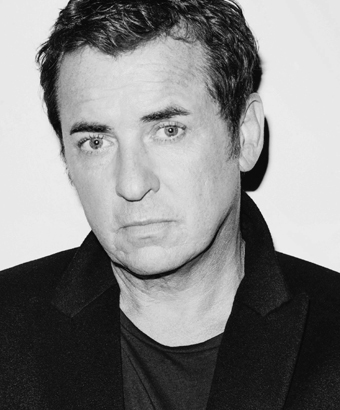 Shane has balanced a hugely successful 40-year career between theatre, film and TV; and he has been a regular fixture on primetime television, hosting such shows as Lucky Numbers, The Shane Richie Experience, Win, Lose or Draw, Don’t Forget the Lyrics!, Reflex and Win Your Wish List to name but a few! Theatre includes: Grease (West End and Manchester); One Flew Over the Cuckoo’s Nest (UK tour); Lone Star and Private Wars (King’s Head) and Scrooge. Shane played the leads in The Perfect Murder and Not Dead Enough. He also co-wrote and co-produced the national UK tour of Boogie Nights, which went on to a sell-out season at The Savoy Theatre. Film includes: Macbeth, The Reverend, Prisoners of the Sun and Flushed Away. TV includes: Oliver Twist, New Tricks, We’re Doomed: The Dad’s Army Story, What We Did on Our Holidays, The Good Samaritan, As Good As It Gets, Skins, Moving On, Minder, Redwater, Benidorm and Claude. In 2002 Shane created the lovable rogue Alfie Moon, featuring in BBC One’s EastEnders. The role went on to earn Shane several industry awards and many accolades including Best Actor at the Rose d’Or Television Festival. Recordings include: the No.1 record I’m Your Man for BBC Children In Need. In 2017 Shane’s album A Country Soul made it to No.1, securing his position as the UK’s biggest-selling country artist. Writtings include: No.1 autobiography in The Sunday Times Best Seller list, Rags to Richie.